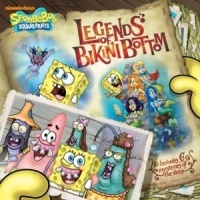 Legends of Bikini Bottom (TV Special) – From SpongePedia, the biggest SpongeBob-wiki in the world! Legends of Bikini Bottom is a marathon of 5 episodes. It was originally supposed to have six episodes but the sixth will be aired on June 11, 2011. This page was last modified on 12 September 2012, at 12:47. This page has been accessed 5,595 times.